The high frequency electrolytic rectifier adopts IGBT high frequency inverting soft switch rectifier technology. This soft switching mode rectifier is mainly used as all kinds of metal and nonmetal surface electroplating rectifier power supplies, such as electroplating zinc, nickel, chrome, titanium, and so on. 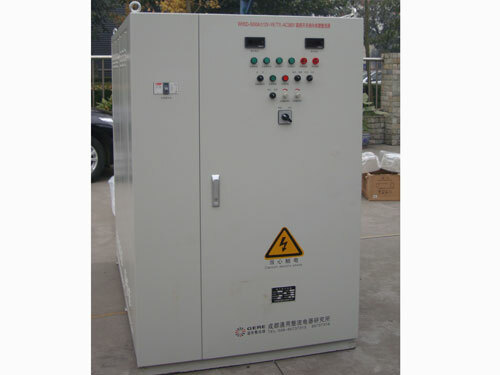 The high frequency electrolytic rectifier can also be used as electrolysis rectifier power supply, ordinary anodizing power supply, DC heating power supply and used in other occasions where DC power supply is used. This soft switching mode rectifier can realize many protection functions, such as openphase, overvoltage, under voltage, fast fuse blown fuse alarm and circuit breaker protections. 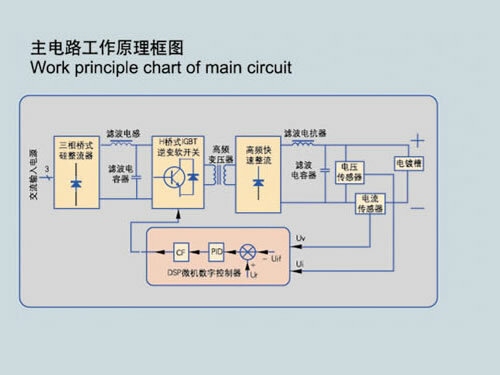 The high frequency electrolytic rectifier also possesses functions of output over current and current limiting protections; output short circuit and instantaneous overload protections; IGBT switch modules, rectifier components, bus copper bar overheating and other protections. 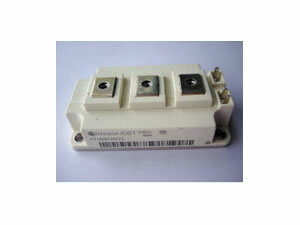 We provide local and remote operation modes for this soft switching mode rectifier. Customers can choose constant current or constant voltage output control modes. 1. 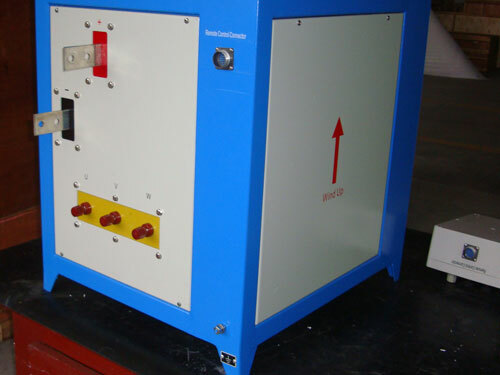 The high frequency electrolytic rectifier owns super small volume and light weight. The volume is1/5 to 1/8 of SCR, and the weight is 1/20 to 1/40 of SCR. 2. 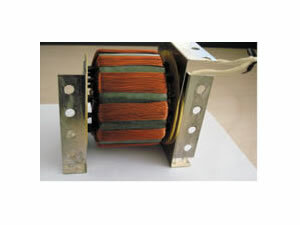 Rectifier transformer's iron core adopts high-quality ultra-fine crystalline material. The no-load loss is less than 2% and can save 4% to 5% electricity compared to common switch rectifier transformer. 4. The high frequency electrolytic rectifier adopts IGBT inverter soft switch rectifier, which can save 5% electricity than common switch rectifier power supplies, and 15% to 25% than SCR. 5. Customers can choose different remote control boxes. 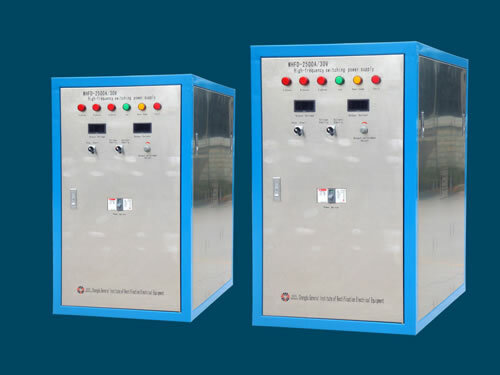 The host and remote control box are separately installed making on-site operation more convenient. 6. According to customers' requirements, this soft switching mode rectifier can be configured with CAN BUS, PROFIBUS, INDUSTRY ETHERNET, RS485 and RS232 optical fiber communication interface to realize remote control or monitoring. Chengdu General Rectifier Research Institute is a professional manufacturer and supplier of high frequency electrolytic rectifiers in China. 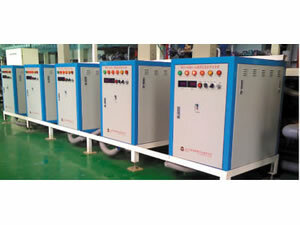 In addition to this soft switching mode rectifier, we also produce high frequency electroplating rectifiers. Our products have been exported to USA, Germany, Australia, Singapore, India, Brazil, Iran, Vietnam, Kazakhstan and Malaysia, etc.